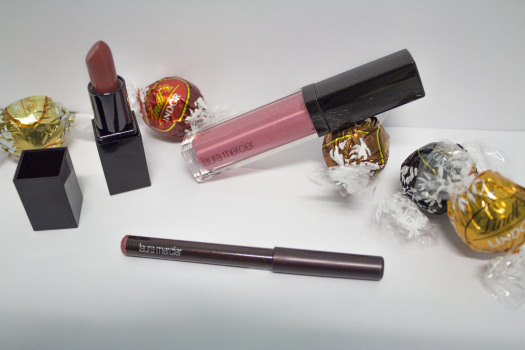 Transform your Lips & Christmas stocking this holiday! Santa Claus is coming to town…. Well, at least Sunday he is in Toronto and I couldn’t be happier about it! His sleigh is going to be full of presents and I know something that should be on all your lists for him to bring Christmas Eve. 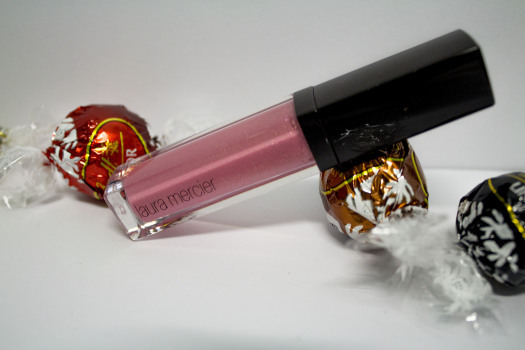 The Christmas elves at Laura Mercier have done it again and this makes for the BEST stocking stuffer EVER! The Laura Mercier Lip Transformer Trios! Of course the minute I realized it was called Pink Spark it was over for me… Pink + Sparkles?! What more could a girl ask for? 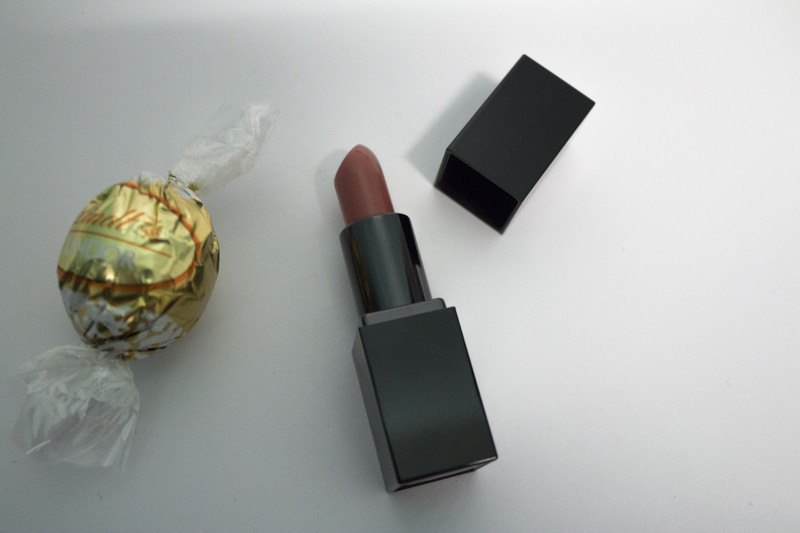 For $32.00 USD you get three must haves which will give you the most perfect lips! You get the Lip Pencil in Potpourri, their crème smooth lip colour in Crème Coral and the lip glace in Pink Spark! A trio that can give you three different looks for whatever mood you’re in! The little black and red cheetah print box that these three ‘must have’ products come in opens up in the back and teaches you three ways to transforms your lips into different looks. One is to glossify (my favourite the more sparkles the better), second is to mattify and third to amplify! I love the fact that it give you tutorials on how to get each one of these looks and, just totally, justifies why you need all three of these in your purse at ALL times! I could tell you the secrets on how to get all these looks for your lips, but you have to go out and purchase it to be let in on that! Not everyone loves pink, so this transformer set also comes in Ruby Spark for a more bold statement and would be perfect for any holiday party that you might be attending. 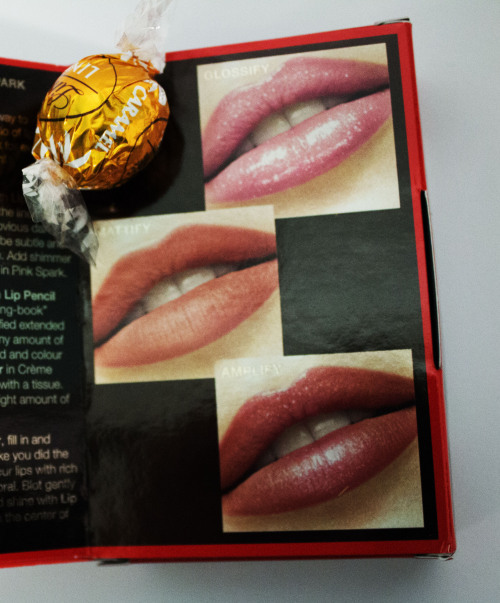 Either way, get ready for compliments galore while strutting your stuff with these lips colours. So with everyone starting their stocking stuffer or Christmas list now, make sure you add this in. Its the perfect size and won’t take up a bunch of room in your purse! You can pick up this set at your nearest Sephora location. Play, experiment and have fun with colour-coordinated trios of lip essentials and there is no wrong or right way to use them… it’s whatever works for you.